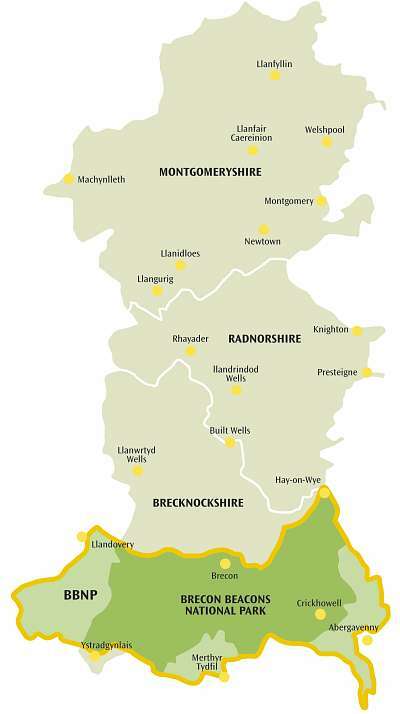 BIS was the first Local Record Centre in Wales and was established in 2000 covering the counties of Breconshire, Radnorshire and Montgomeryshire. It was one of 3 pilot record centres in the UK, (the others being in Cheshire and Northeast Scotland), funded by the partners and the Esmee Fairburn Trust through Wildlife Trusts UK. These pilot record centres were set up as 'nodes of the National Biodiversity Network (NBN) and would adopt the standards of NBN' (Linking LERC’s Project). The BIS Memorandum of Agreement was signed by the founding members in 2000 and in 2001 the 3 staff started populating the species and habitat databases. BIS celebrated its 10th Anniversary in 2010/11. BIS was set up as a 'Private Company Limited by Guarantee Without Share Capital' and is therefore a 'not for profit' organisation. It is funded by Service level Agreements with its partners and by providing a professional commercial service to other environmental organisations and consultants. BIS is now part of the first national network of LERCs in the UK, known as Local Record Centre Wales, which aims to provide seamless biodiversity information to the whole of Wales. South East Wales Biodiversity Records Centre (SEWBReC) was established in 2004. North Wales Environmental Information Service (Cofnod) has been providing services since 2007 and finally the network was completed in autumn 2007 when West Wales Biodiversity Information Centre (WWBIC) went 'live'. The LERCs work closely together and to that end have produced the document 'Our Shared Vision' (enclosed). In the past wildlife information was held by a large number of organisations and individuals in various formats, including paper recording cards, and so was not readily accessible. 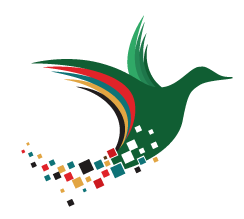 Since 2001 BIS has collated and electronically stored over 1.6 million species records (April 2014) and this information is now readily available to its partners, local recorders, commercial environmental consultants and the public. The wildlife records are stored electronically in a Recorder 6 database, the JNCC industry standard database application. Spatial datasets including habitat and local and designated site information are held in ArcMap Geographic Information System format. Bringing all this information into one system enables clear presentation of the data for all our users and also facilitates its analysis and manipulation. We aim to provide a rapid and comprehensive response which enables biodiversity to be taken into account for development, operations and nature conservation. For more information on how BIS uses the data see Manager Annual Report to Members and BIS Products and Services. The information on habitats and species comes from many sources such as the former Countryside Council for Wales (Natural Resources Wales), Brecon Beacons National Park Authority, and the Wildlife Trusts. In particular, we would like to thank members of the local voluntary recording community who have provided over 50% of our records (2014). The specialist, county recorders not only co-ordinate the collection of records of their particular interest but also authenticate their identification. Without their input and advice an LERC such as BIS cannot operate. One role of BIS, therefore, is to provide a support network for local recorders to ensure that their efforts are valued and that resources such as software and IT support are made freely available. Click here for information on BIS services to local recording community. See our Data Holdings page for more information on records BIS holds. The membership delegates the management of the company to the Board of Directors (see below). The roles of the Directors are detailed in the company’s Memorandum and Articles of Association but are summarised in the BIS Organisational Table, along with those of the Support Group (see below) and the BIS Manager (see below). A visual representation of the overall internal and external BIS relationships is shown in the BIS Organisational Diagram. Operational planning is undertaken with reference to our Annual Work Plan and Annual Budget Plan. Janet started her career in agriculture moving on to horticulture and retailing. Having gained a BSc in Ecology and an MSc in Vegetation Surveying in 1997, she worked as a botanical surveyor in Scotland and then the south of England for 3 years. In 2001 she joined the North East Scotland Environmental Record Centre (a pilot LERC similar to BIS) as Biological Recorder. In 2004 Janet took over from Adam Rowe as manager of BIS. Janet is responsible for the day-to-day running of BIS, including finance, personnel, funding partner liaison, and overall management of the species database. She is Company Secretary for BIS and Local Environmental Records Centres Wales Ltd. Janet works 3 days per week, Monday to Wednesday. Key contact for current and potential partner services. Can also advise on using Recorder 6 for entering biological records. Steve has been working in IT for over 10 years in a variety of roles and organisations including further education, local government and small businesses. Steve recently completed a degree in IT and Business Management at the University of Wales Lampeter. Steve joined BIS in January 2012 as full-time IT officer and has a keen interest in conservation - particularly birds. Key contact for any IT related queries. Steve works Tuesday, Wednesday and Thursday. Jo studied Marine Biology at the University of Wales Swansea followed by a course in Countryside Management. After gaining wildlife conservation experience with various NGO’s and local authorities she worked for the Wildlife Trust South and West Wales as the Warden on Skomer and Skokholm Islands for six years. After returning to mainland life she moved to Yorkshire to work as an Ornithologist with Fera/AHVLA where she carried out avian research and consultancy work throughout the UK and Europe for four years. Following this she worked for Yorkshire Wildlife Trust for three years where she managed a suite of nature reserves and ran practical volunteer tasks. Jo moved back to Wales in early 2018 to begin work at BIS. Jo works five days a week and is the key contact for all standard commercial and partner biodiversity information enquiries, including Local Authority planning application reporting. Leading contact for data exchange with local recorders and other data providers. Ben joined BIS in 2017 to promote and support the wildlife recording community in the BIS area. He’ll be working with the recorders to promote their work and creating new opportunities for people to get involved in recording. Ben will organise training courses and events and can attend your events to promote recording and edits the twice yearly recorders newsletter. He has over 15 years of experience working with volunteers in the conservation sector including a Marsh fritillary habitat restoration project in the Upper Tawe Valley, which brought him to Brecon in 2011. After a spell at the National Trust and Caring for God’s Acre (CfGA), Ben joined BIS in 2017, initially part-time before going full time in May 2018. Ben works five days a week and is the key contact for training courses, square & species of the month, the recorders newsletter, events, social media and publicity.